For Layla, who is mixed-race and soon to be married to a white man, there’s no worry about whether to take his name or keep her own – they conveniently share the surname McKinnon. Everything changes, however, when she discovers that her fiancee’s ancestors were slave owners, and her ancestors their slaves. 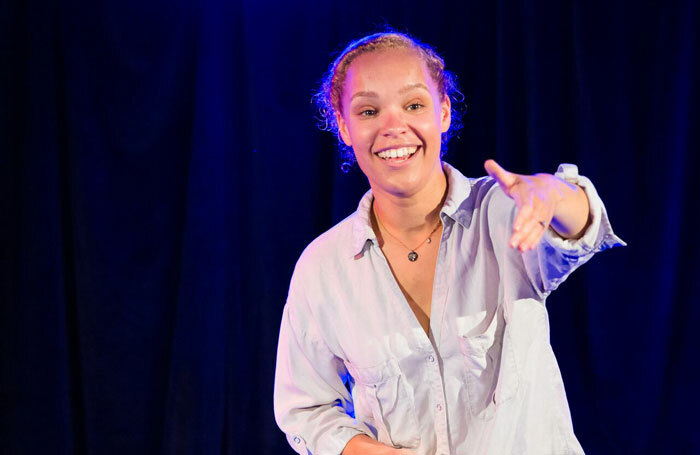 It’s a strong premise for this solo show by writer-performer Phoebe McIntosh, teasing out a parallel between slavery and marriage as a patriarchal contract of ownership. Will marrying mean Layla is still bonded to her oppressor? Does its symbolic gesture have real effects, or can she put down the baggage of the past? McIntosh articulately dramatises the complicated web of conflicting loyalties which plague Layla – she must reconcile her white-passing privilege, her love for her fiancee and her loyalty towards her best friend Laura for whom Layla’s engagement is a betrayal to her own blackness.